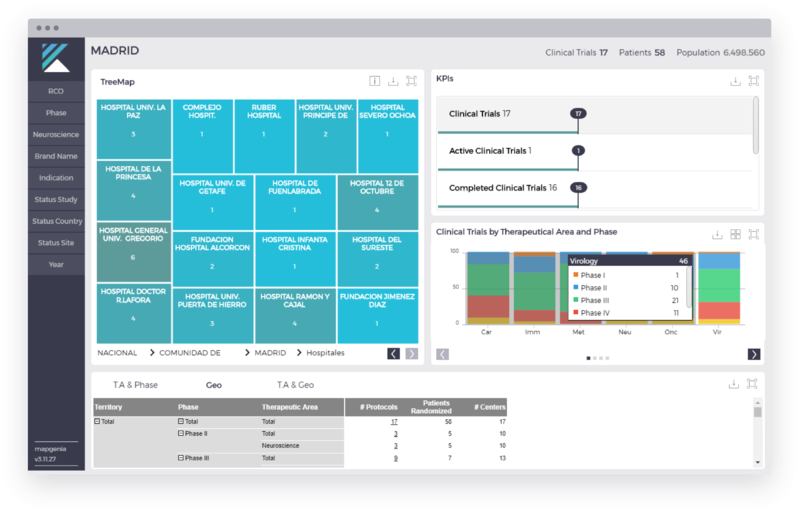 Track your updated clinical trials activityObtain a rapid view of your updated clinical development activity with this one-stop-shop solution. Comprehensive view of clinical trialsGet different analytical perspectives (i.e. therapeutic area, drug, indication, region, hospital…) to know how your clinical plan is being implemented. Ensure that you attain your planned share-of-sciencePlan your medical affairs activity and easily assess the progress in each territory.